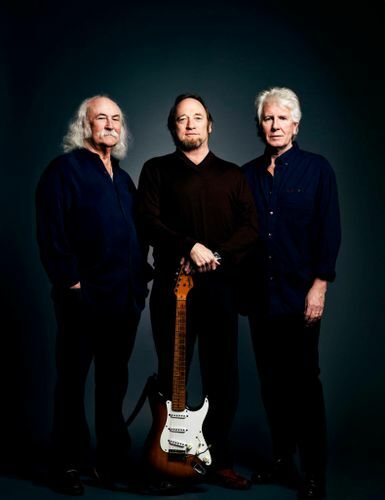 More than four decades since CSN first harmonized in Laurel Canyon, and played their first-ever concert as a trio at the legendary Woodstock festival, its members continue a creative partnership that is one of the most influential and enduring in music. David Crosby, Stephen Stills, and Graham Nash have each been inducted into the Rock and Roll Hall of Fame two times-once with Crosby, Stills & Nash, and a second time with The Byrds, Buffalo Springfield, and The Hollies, respectively. They have also been inducted into the Songwriter's Hall of Fame, with the honor recognizing both CSN as a group, and each member as individual solo artists. CSN's music first became a cornerstone of rock 'n roll with the self-titled 1969 debut LP, one of Rolling Stone's "500 Greatest Albums of All Time." Ever since-through changing times, various configurations, and acclaimed solo careers-Crosby, Stills & Nash have continued to tour and record as "three together."